The earth is experiencing the adverse effect of climate change. In response to growing global warming issues and the constant increase of energy prices, house-builders and housing manufacturers today are becoming more responsive to the delivery of net zero energy and carbon dioxide emission sustainable homes than ever. Within this context, the sustainability may also embrace housing economy and adequacy beyond the legitimacy in which the quality barely coincides with individuals' dynamic various needs, desires and expectations. Nevertheless, the housing industry's business operation tends to follow routines and the close system mode of operation often hinders the enterprises from adopting unfamiliar innovations which may be inevitable in realising the delivery and operation of socially, economically and environmentally sustainable homes. 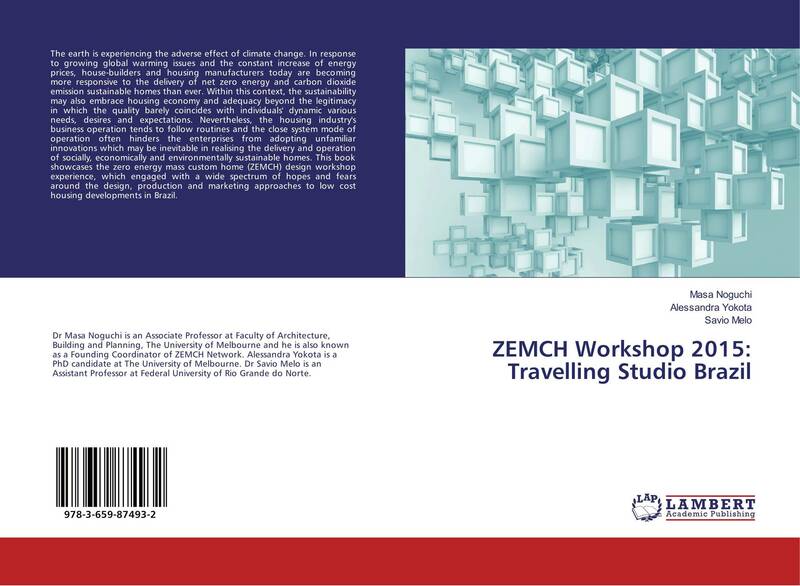 This book showcases the zero energy mass custom home (ZEMCH) design workshop experience, which engaged with a wide spectrum of hopes and fears around the design, production and marketing approaches to low cost housing developments in Brazil.